Judit joined OnPage Corporation in 2009 as the Chief Financial Officer and was appointed to CEO in 2010. As CEO Judit founded the OnPage Service and transformed the company from an on-premise enterprise software into a high-availability scalable cloud based enterprise service provider. 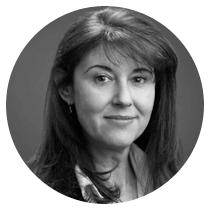 Judit has more than 20 years of comprehensive operations, marketing, strategic planning, and financial experience. She was deeply involved in the mergers and acquisitions of ProActivity, an Israeli VC backed startup with EMC Corp. Throughout her career, Judit has focused on improving processes and procedures to drive revenue, efficiency and market share. Judit holds a bachelor’s degree in economics and business administration from the University of Haifa and a master’s degree in finance from Bentley University.